"Nepal is a land of high Himalayas stretching from north to the south and country of amazing extremes"
Nestled between two-giant nations--China to the north and India to the south, east, and the west, Nepal is a land of high Himalayas stretching from north to the south and country of amazing extremes. 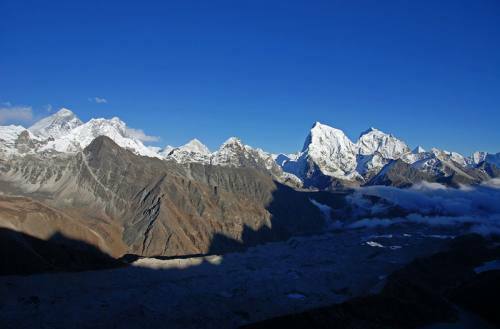 It is the home of the world's highest mountains, incredible landscapes, steamy jungle, where the world's endangered animals like one-horned rhinoceros, red-panda, tiger, snow-leopard etc. wander at ease. It is also a land of great diversity, primarily of its culture, religion, culture, geography, flora and fauna, fabulous arts, architectures and many more. You will find enchantments at any part of the country you travel through, and there are enchantments to anyone who are in search of Shangrila! Either you stroll around the plain land along the lowest elevation of the nation, Kechana, or trek to the highest point of earth alongside of the lap of Mt. Everest, or hike alongside the rugged and snow filled trails for mere a day, or whole week or month, you will enjoy a lot and be amazed with the incredible mountain scenery, roaring and rushing white-water filled rivers. Whatsoever you opt to do here in Nepal, either rafting in the white-water, bungee jump into a bottomless Himalayan gorge, trekking to the high Himalaya or simply hike along the remote hills, you will have utmost fond and worth-sharing lifetime experience. Nepal, which was opened to the outsiders merely in 1950s has been and ultimate destination for travelers, trekkers, mountaineers from across the world. 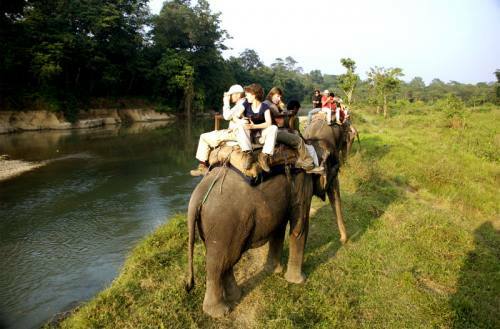 Nepal has gained popularity among the travelers from across the world, especially after the successful summit of Mt. Everest (8,848 m), the highest peaks in the world, by Sir Edmund Hillary and Tenzing Norgay Sherpa in 1953. It is not merely the Mt. 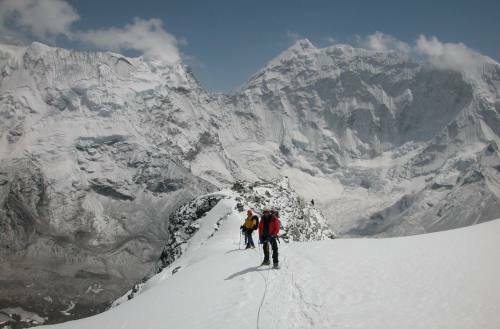 Everest, but Nepal is the home of the 8, out of 10 the highest mountains above 8,000 m, namely Mt. Everest (8,848 m), Mt. Kanchenjunga (8,586 m), Mt. Lhotse (8,516 m), Mt. Makalu (8,463 m), Mt. Cho Oyu (8,201 m), Mt. Dhaulagiri (8,167 m), Mt. Manaslu (8,163 m) and Mt. Annapurna (8,091 m). 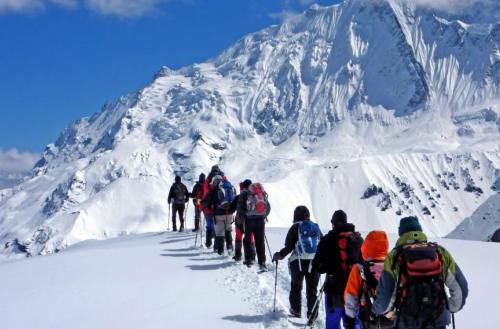 Besides these, there are over 1,300 peaks in Nepal above 6,000 m. These all offer you wide range of adventurous sports including, trekking, expedition, peak climbing, hiking, mountaineering among others. Admiring these features, the world renowned travelers and writers have given Nepal different titles such as, Nepal is a land of living museum, a land of Shangri-La, roof of the world, the birth place of the apostle of peace, a country of living goddess, one of the best countries for adventure, a tiny country with over hundreds of ethnic groups, the land of mysticism, a land of non-stop festivals, among others. These are explicit enough and self-explanatory, why Nepal is one of the countries to visit at least once in your lifetime. 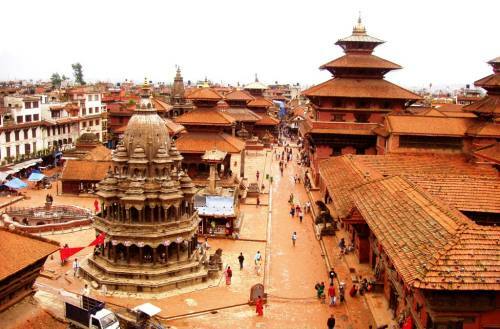 Nepal was divided into many small principalities and ruled by different dynasties in an ancient period. Kiratis said to have ruled in the beginning and then followed by Lichhivis and then the Mallas. 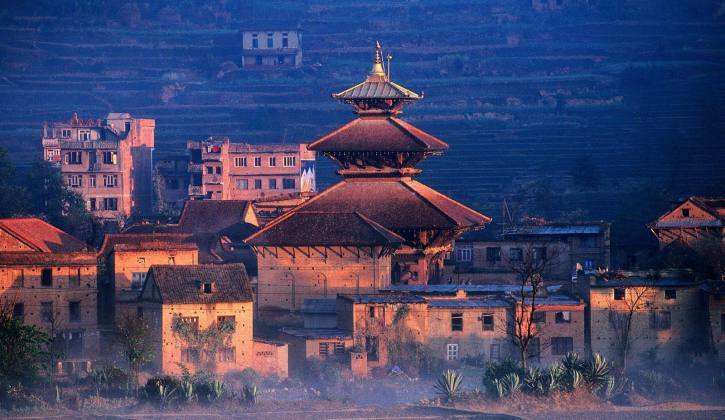 In the 18th century, Gorkha ruler, the then King, Prithivi Narayan Shah united different tiny principalities into one nation--Nepal and his successors ruled the country later on. In the Mid-19th century, Ranas wielded absolute power and the Shaha ruler remained mere figurehead over one hundred years. The democratic movement of early 1950s had overthrown the Ranas' absolute power and then Shaha continued ruling the country. The democracy movement 2006 overthrew Shah ruling and the historic constituent assembly-parliament on May, 28, 2008 declared Nepal a Federal Democratic Republic--formally ending nearly two-and-half century Shah ruling. People: Nepal has more than 125 ethnic/caste groups and 123 languages spoken as mother tongues according to the census 2011. 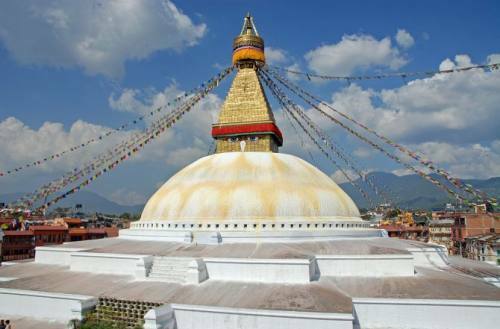 Religion: Nepal is a secular state with predominance of Hindu and Buddhist population, has as many as 10 religious--Hindu (81.3 percent), Buddhism (9.0 percent), Islam (4.4 percent), Kirat (3.1 percent), Christianity (1.4 percent), Prakriti (0.5 percent), Bon, Jainism, Bahai and Sikhism are followed by a nominal percentage population. Political System: Federal Democratic Republic. © 2019, Adventure Gaurishankar Pvt. 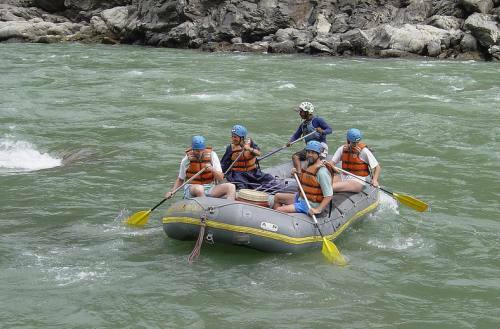 Ltd.
All content and photographs within this website [ http://www.adventuregaurishankar.com/ ] is copyright © by Adventure Gaurishankar Pvt. Ltd. and may not be reproduced without our permission.